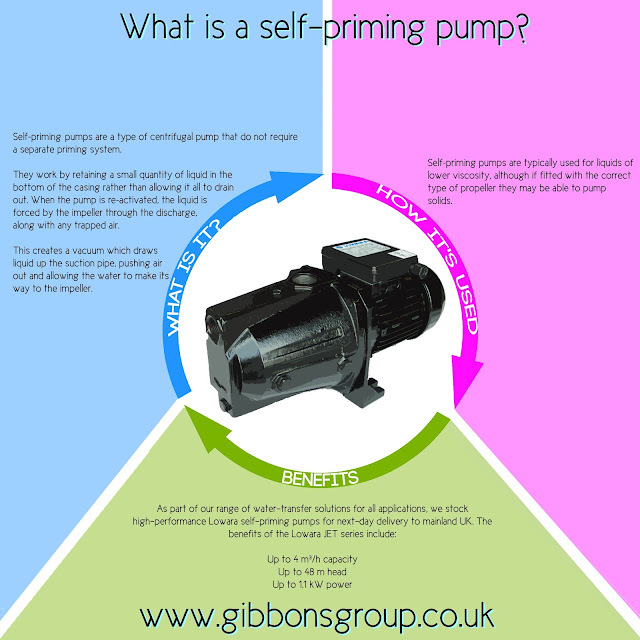 Home » centrifugal pump » drainage » Lowara » pumps » pumps and controls » self priming » What is a self-priming pump? Most pumps must be primed before use, in order to remove air from the suction line and replace it with liquid. If this is not done, the pump will not operate and the presence of air can cause damage to bearings. Priming is normally carried out with a vacuum pump. For more information on these and the rest of our extensive pump selection, call Matthew Gibbons on 07970 676272 or email matthew@gibbonsgroup.co.uk.